New Haze Cam – Double-camera view of Acadia. CNN – Stories about gas prices reaching $4/gal are getting old. How about reporting it when it actually does happen. “Unofficial” St. Patrick’s Day – A few bar owners make up a fake holiday so they can bring in more bucks. The fact that it involves getting thousands of students drunk before noon doesn’t seem to bother them. Irish Soda Bread – Good stuff. Microsoft’s maps.live.com – New “bird’s eye view” images make it addicting. Winter driving – Bad weather really separates good drivers from bad. Unfortunately, the good drivers still have to deal with the bad. Winter – I’ve had enough. Radeberger Pilsner – Tried one at dinner last night. Excellent beer. 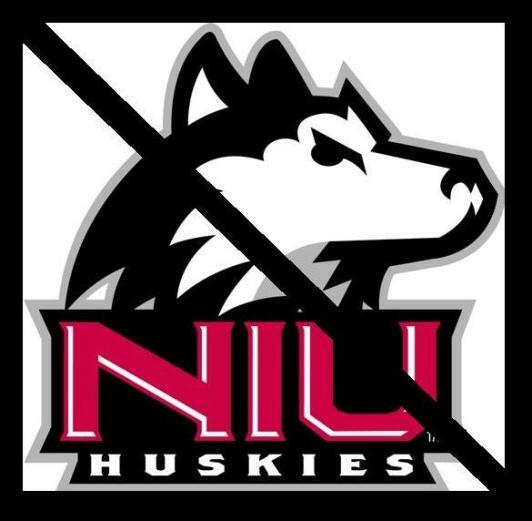 In light of yesterday’s carnage ay NIU, I can find very little upside to this week. Let’s hope next week is better. My thoughts are with those wounded in the attack and the families of those who died. So today I was stuck in a class from 8:30AM to 5:30PM. Sarah dropped me an email late this morning to tell me some animal was caught in the vent for the stove hood. She said it was making a real racket. Our stove hood vent apparently does not have a screen or flapper valve at the top to keep animals out. Somehow an animal had fallen down the vent and was struggling at the bottom to get out. At first we didn’t know if it was a bird or a squirrel, and judging from the amount of noise, Sarah thought it might be a squirrel. So all day while I was in class, I was thinking about how we’d get the squirrel out of our vent. I even called a local plumber who suggested we let it die and then remove it. Being big fans of animals, that was not a good option in our house. Our cats were, of course, mesmerized by the prospect of a small critter so close. Kitty excitement reigned. So after I got home, I set about trying to see into the vent. It didn’t look like it would be easy from the stove end, so I crawled up into the attic to try from that end. Our attic is not an easy place to walk, though. It’s criss-crossed with support beams and has a few feet of blown-in insulation on the floor. One misstep and we’d have a new hole in the ceiling. It took me a while to work my way over to the vent pipe, but I still couldn’t get into a position to look down inside it. Time for Plan B.
I removed the screen over the hood vent fan and could see up inside enough to realize that it wasn’t open directly to the vent pipe. There was a flapper gate in a mail-size slot at the stove end. When the fan turned on, the flapper gate opened enough to vent out the air. I pushed the flapper open a bit and could see feathers and a bird leg. One mystery solved. It was actually better that it was a bird as it’s easier to deal with a bird in the house than a scared squirrel. Time to disassemble the stove hood. My reward was a good pepperoni pizza, some very good Merlot, and getting to sit and watch The Italian Job, which is a favorite of mine. Animal rescue has its rewards. BMW X5 – This car was made for winter driving. Crappy commutes – White outs, heavy snow, dense fog, and driving rain. All on consecutive days. See above, though. Baseball is coming – Spring training is underway. Patriots – Last thing I have to say about it. TGIF – Lame, I know. But it’s been a rough week. Snow Tires/AWD/DSC – Driving in a snowstorm is still evil, but it’s a lot easier with the right equipment. Snow shoveling – My aching back. Overestimating meteorologists – We got maybe 6″ rather than the predicted 10″-12″. I’m not complaining. Faint praise – I got a post card from Friar Tucks advertising an “entry level” wine. Is that a good thing? Super Bowl Weekend – Here we go.